Love is in the air this Valentine’s Day – and it’s not just the love between people we’re celebrating. 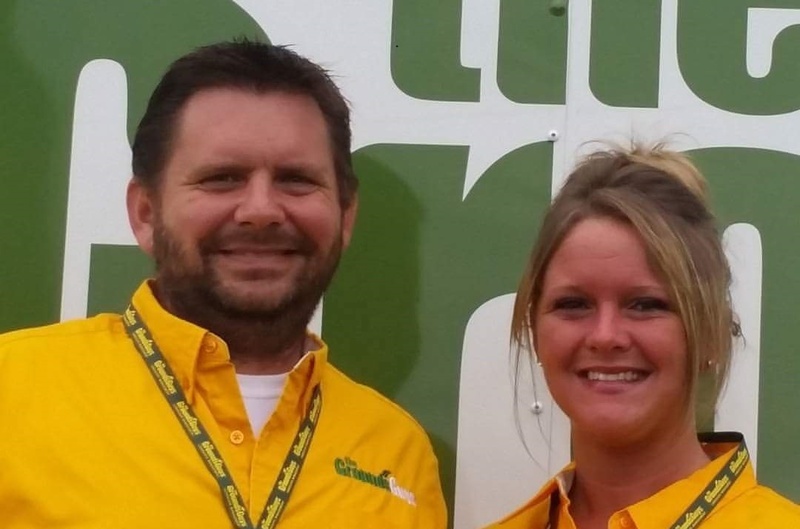 Today, we’re taking a closer look at some of our amazing franchisees, and Jessie and Matt Hollerman are about as in love with their Ground Guys franchise as they are with each other. We interviewed the Hollermans to find out what makes their relationship – and their business – keep going strong. That’s when a little support from family came in. Jessie’s day-to-day schedule is far from leisurely. “I work on the business for at least eight hours a day while the kids are at school. Kids come home, and I take care of my motherly priorities, household duties, and wife responsibilities, and I take breaks by sitting at our desk for 20-30 minutes working on work related things. Then get back to the non-work related responsibilities, and I flip flop like that until about midnight and wind down for bed.” Like for many small business owners, the company is fully incorporated into their lives. Through hard work every day, the Hollermans are an incredible example of just how far love can take you – both in a marriage and in business. By taking risks, setting goals, and working hard every day, the couple has built an incredible foundation for their families through their amazing Ground Guys franchise.